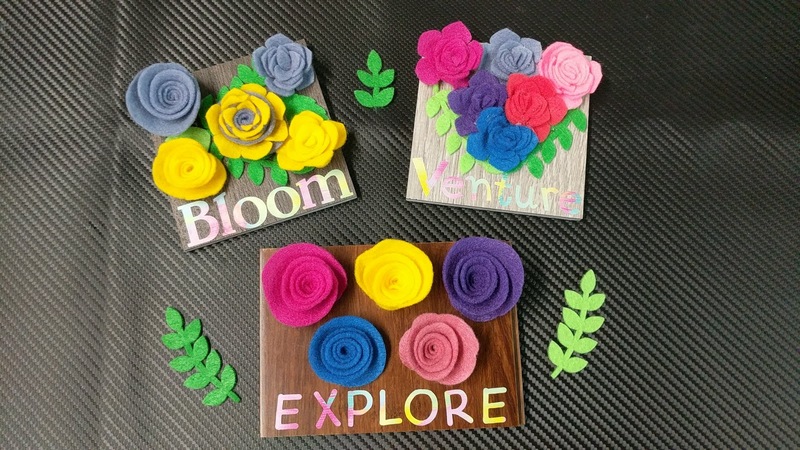 Okay, I am still loving this craft so much even though right when I was about to glue my flower, hot glue dripped on to a couple of my fingers and it burned something fierce. I ended up not being able to craft the rest of the night but it was fun chatting with the girls that came and Wendy helped roll a few flowers for me. I think everyone had fun with this craft and man, the Cricut Maker rotary blade did a fantastic job of cutting out the felt. 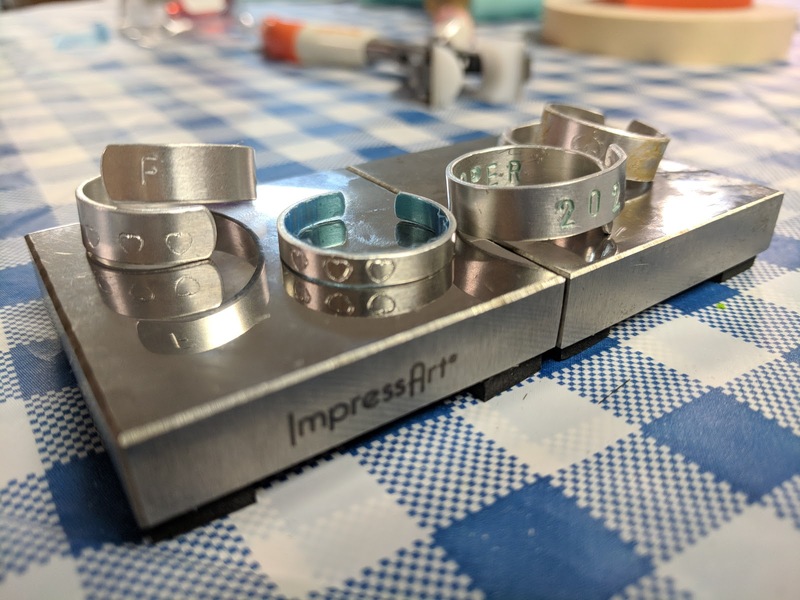 We used my ImpressArt metal stamp materials to stamp some really cute rings! We stamped pennies a party or two ago and I have the supplies for bracelets but I figured rings would be a good amount of time to spend. Everyone who made a ring sure did a great job imo. We took a food break next and sadly this is the only picture I got of the food. I did do a video panning the table but those videos don't seem to play when I upload them here. Rachel brought this noodle dish with little veggies and the flavor was so super good! Wendy brought chips and guacamole. Always a great snack! I had Tony make our favorite bean dip that we found the recipe for recently. Next, we did the gift exchange of favorite things and that was really fun. 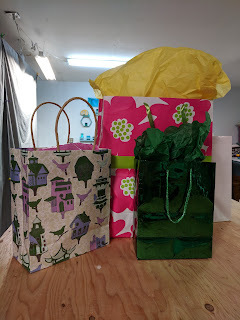 The last craft we were going to do but it got too late, was card making. I had pulled out all my rubber stamps, fun ink, the Minc machine, glue dots...and it was going to be fun doing this craft but it's okay. Another time!